After 7 months since our last show in Athens, we are coming back to you for one special show. and for this reason we return to Athens to celebrate it along with friends and fans! 1 year of Apocalypse…and along with us as special guests, Smolderhaze, Spectrum and Hateflames. 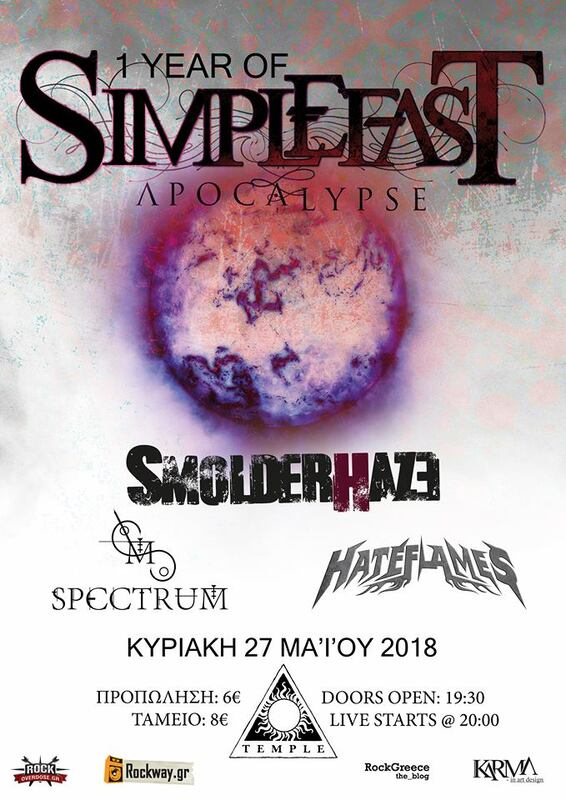 Live at Temple Athens on May 27th, 2018.